We clear junk of all types. 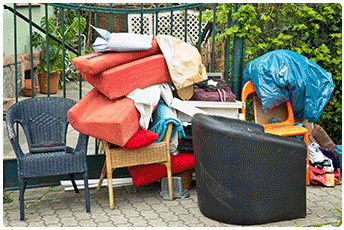 Do you need to get rid of all that household junk or personal junk and effects? 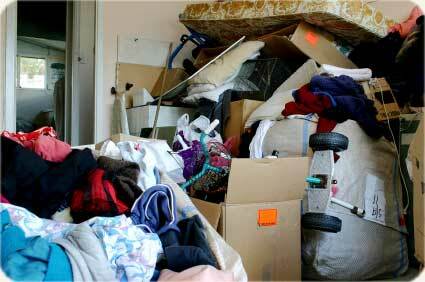 All those items that have been piling up for ages and not getting used are just taking up valuable living space. Don't let junk clutter your life! From a loft full of ancient relics, to a shed full of items that was going to come in handy one day (but somehow that day never came), to the spare-room that is overflowing to the point that there is now not much room to spare, to the cellar that is filling up to the cellar door—we can help you reclaim the space by clearing out all the junk. It's time to reduce the clutter and retreive the space. Give us a call now. When your wardrobe is bursting at the seams with clothes that are no longer being worn or those magazines that once seemed such a good idea to collect are now collectors themselves—of dust, the time has come to give us a call. We will clear all those old books, records, old school-work, old baby items, etc. If you are in South London or Central London then we will provide you with a prompt, friendly, polite and helpful service. Our office is open 7 days a week, 8am to 10pm and collections are carried out 24 hours a day, 7 days a week. You will find us cheerful, polite, friendly and helpful. Getting some space back into your life.